straighten the feet and knees. the air of flowers and motherhood. hurt itself, roll about on the stones. than keeping clean, but with the life lacking. 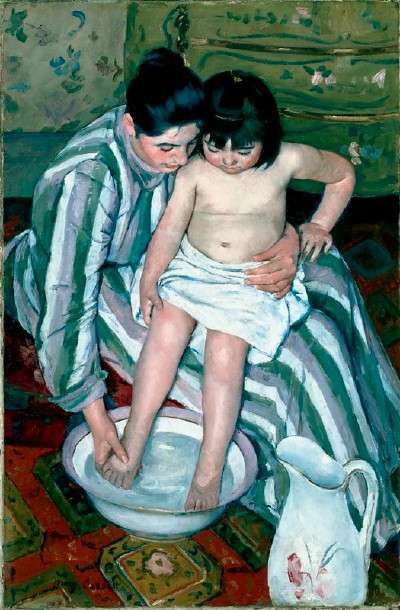 I love the artwork of Mary Cassatt and the poetry of Pablo Neruda – what a perfect combination for Mother’s Day. A very Happy Mother’s Day to you. Tuning in late, but what a poem! I love Pablo Neruda and Mary Cassatt. Beautiful choice for Mother’s Day!! Thank you! It is really cool when a poem and image come together so nicely.